Dubai: The UAE Embassy in Australia has issued an alert to citizens living in the West Coast after a Category 3 cyclone hit the region. Cyclone Veronica was downgraded by the Australian Bureau of Meteorology early on Tuesday morning, with red alert warnings lifted for remaining areas. The Army was reported to have started evacuating homes in Western Australia (WA) which have been cut off by rising floodwaters by ex-Tropical Cyclone Veronica, which was downgraded to a low. The daily news site Perth Now also reported strong winds with gusts of 85 km/h hitting the Pilbara coast. 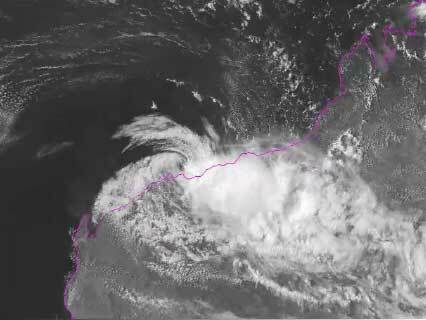 According to the Bureau of Meteorology, the ex-tropical cyclone is moving south west at 9 km/h. It is expected to continue parallel to the Pilbara coast during today.